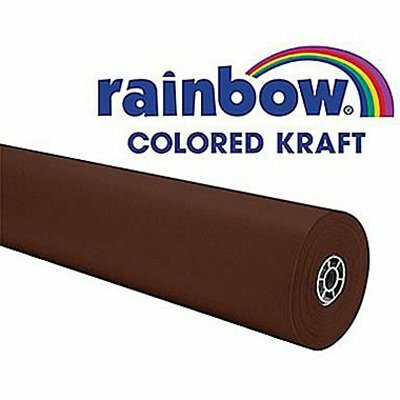 Rainbow Colored Duo-Finish Kraft Paper Roll measuring 36 in x 100 ft is made from 100% kraft fiber for superior strength and durability. 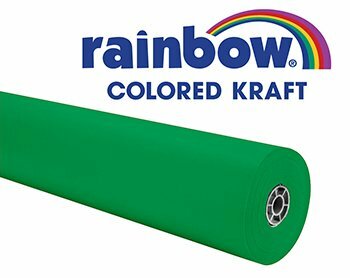 Fade resistant roll in brite green features a toothy side to handle chalk, tempera, watercolor or acrylic paints. The other side of the non-bleed paper is smooth and perfect for felt pen, finger painting and fine-line drawing. 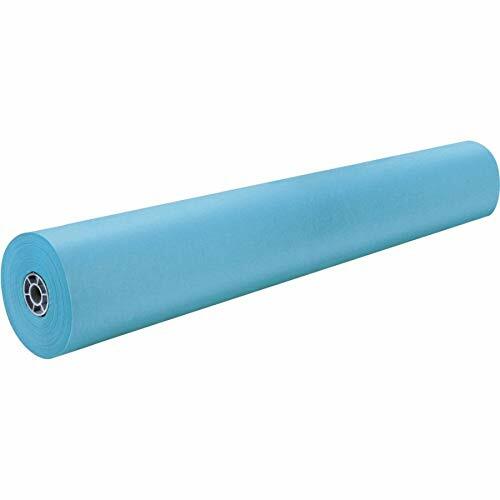 Roll with a basis weight of 40 lb is packed in a convenient storage box. Craft and create your favorite DIY party project with Just Artifacts' crepe paper rolls! 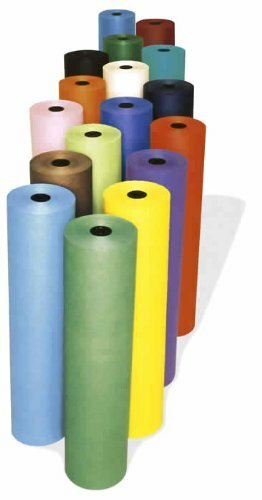 Shop our exclusive collection of crepe paper rolls dyed in many colors to match your party and craft palette. Crepe Paper also makes for unique textured wrapping paper. Pacon Rainbow Lightweight Duo-Finish Kraft Paper is ideal for any arts and crafts project. 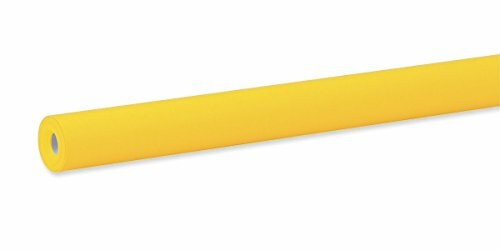 Each roll is 3-feet tall by 1,000-feet long, giving you plenty of paper for decorating, school projects, coloring, and more. 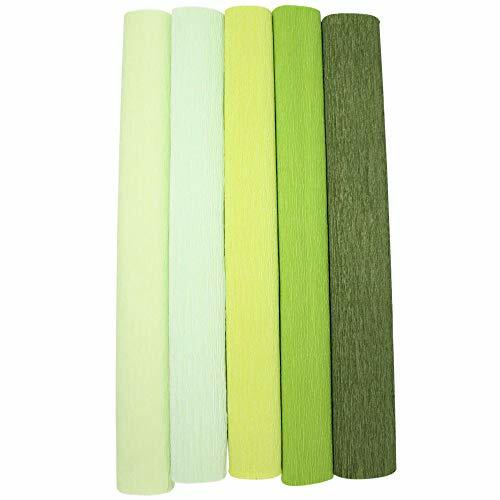 One side of the paper is smooth, making it ideal for felt pen, finger painting and fine-line drawing. The other side of the paper has a “toothy” texture, which is perfect for chalk, tempera, watercolor and acrylic paints. Each paper roll is both acid free and recyclable. 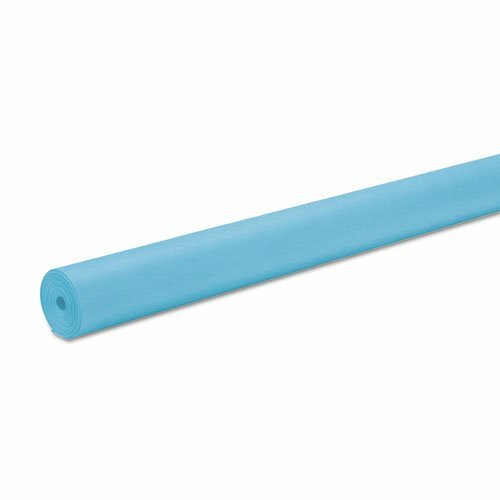 This Pacon Rainbow Lightweight Duo-Finish Kraft Paper is Sky Blue in color. 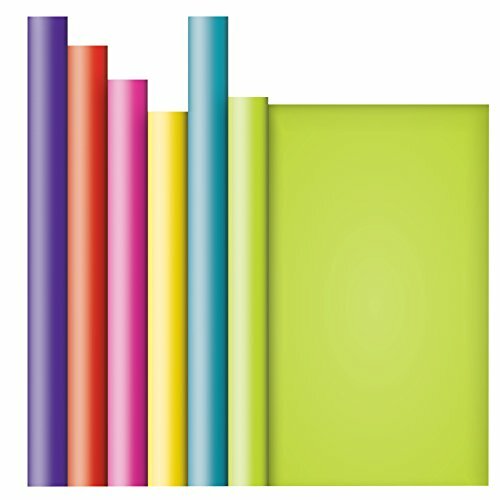 Pacon Rainbow Lightweight Duo-Finish Kraft paper allows you to let your imagination shine!